The Hyundai i30 has made its debut at the Paris Motor Show. 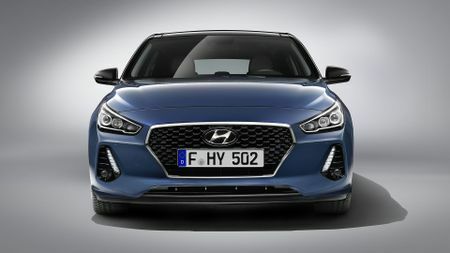 Hyundai says the all-new i30 will feature more active safety features, and better connectivity, along with better build quality. It is set to rival models such as the Vauxhall Astra, Ford Focus, Volkswagen Golf and the Kia Ceed. Looks wise, there’s not much to shout about in terms of radical changes. At the front, there’s the ‘cascading grille’, which is something Hyundai plans to feature on upcoming models, and LED headlights that wrap around the front bumper. It’s a little longer and wider than the previous model, the overhangs at both ends have been shortened, and there’s a longer bonnet. It will be available in 12 paint colours, and have the option of 15-inch steel and alloy wheels, or 16 and 17-inch alloys. On the inside there are some more significant changes. There’s more space, more storage options, and the boot can hold up to 395-litres, which Hyundai says is more than most of its competitors. With the rear seats down, the space increases to 1,301-litres. The entire dashboard is new. There’s a new instrument cluster, and a new steering wheel, with heater function. 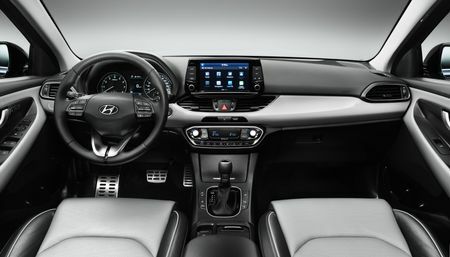 As standard, the new i30 comes with a five-inch touchscreen infotainment system, Bluetooth connectivity, a rear parking camera and a system that allows you to load your own music. 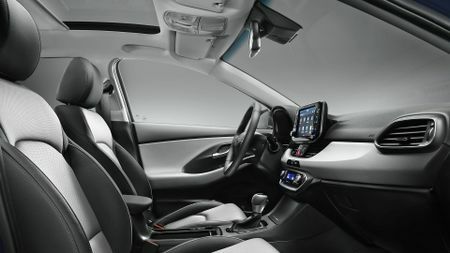 Optional extras include an eight-inch ‘floating’ touchscreen that sits in the dash, with sat-nav, Apple CarPlay and Android Auto connectivity, and a wireless charging pad. There will be the option to choose either black or grey cloth, or leather seats. The leather option gives you a choice between two-tone blue and black, or diamond pattern. And the driver’s seat is power-adjustable and can memorise two seating positions. A range of safety systems will be available, including autonomous emergency braking, driver attention alert, active cruise control, blind-spot detection, lane-keep assist, speed-limit notification, and rear cross-traffic alert, which lets you know if there is traffic approaching while you are reversing. The i30 will have seven airbags as standard. There will be a range of petrol and diesel engines on offer. The 1.0 and new 1.4-litre petrol engine are both turbocharged, and there’s a 1.4-litre non-turbocharged option, too. The 1.0-litre turbo comes with a six-speed manual gearbox, but with the 1.4, you can specify between that and a seven-speed dual-clutch automatic. The 1.6-litre diesel engine is available in three different power outputs. The new i30 will also be the first model to offer an ‘N’ version, which is Hyundai’s new performance sub-brand. The hot hatchback is expected to be revealed later in 2017. Hyundai says the handling will be improved on the new i30, with more direct steering, and a faster response than the previous model. The car is also 28kg lighter. 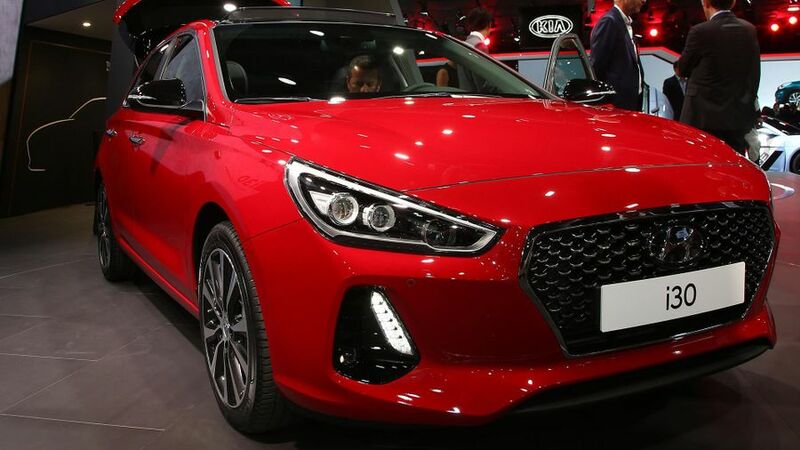 Hyundai hasn’t released detailed pricing of the new model, but it is expected to be a small increase on the current price, which starts from £12,995.